Whether you’re an avid gardener or it’s something that you just have to do to keep your yard looking good, there’s no denying how great it can be when you find a tool that gets so much done for you. Our gardens require so much of our time and effort, and between all of the different jobs there are, it can seem like there’s a never-ending supply of accessories and tools needed just to achieve them. For the savvy gardener, there’s no need to have a full arsenal of tools just to keep your garden looking the best on the street, especially when you can get something amazing that does the job of many in one simple package. Imagine owning a gardening accessory that could aerate your lawn, weed and dig as you need, and cultivate and loosen the soil. The Garden Weasel Claw Pro is a device that most gardeners dream of, but now it seems that it’s a reality. The Garden Weasel Claw Pro is an innovative design that hopes to tick as many boxes as possible, with a unique tool that can cultivate, loosen, aerate, and weed, all in one. There have been many similar tools that have come before it and tried to achieve so many things with just one accessory, but we’re here to see if the Garden Weasel Claw Pro can actually achieve what it says it can, and whether it’s worthwhile adding to your gardening toolkit. Garden Weasel is a beloved name in the gardening industry, with roots dating back to 1976 as this German brand found its way to America. With their revolutionary designs intended to take the hard work and strain out of gardening, they’ve become popular with avid green thumbs and those who just garden because they have to. The Garden Weasel Claw Pro has a four-pronged attack which allows it do many different things: Cultivate, Loosen, Aerate, and Weed. In addition to these four key roles, it can also be used as a compost turner or general garden hand, so it can tick more than just these boxes. When you invest in a quality gardening accessory such as this, you can be sure you’re getting something that’s designed by folks who understand what a lawn and garden needs to thrive. 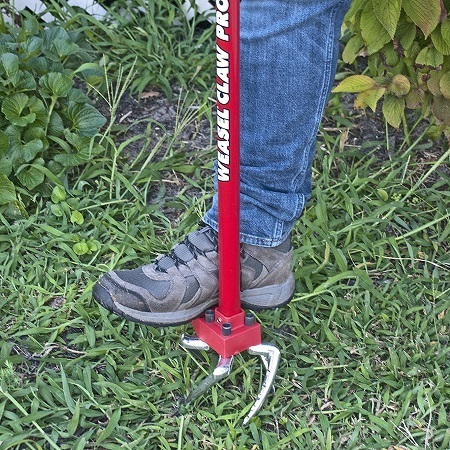 There aren’t many gardening tools out there these days with the strength of the Garden Weasel Claw Pro, and because it’s been designed with such length and adjustability, it takes all of the hard work and strains out of bending and moving to get your gardens cleared. The best thing about the Garden Weasel Claw Pro is its functionality, with many people using it for a few different jobs in one. If you’ve been looking for a quality tiller to use in your garden or have soil that needs to be aerated, you can do it all with a simple adjustment of the tines in the claw and with very little effort. Because this is so easy to use and there’s no need to bend, it’s particularly good for those with back problems or elderly gardeners, as you don’t have to get down to the ground just to tend to your gardens. It has a comfort grip and comes fully assembles which means even less hard work, and you can simply take your tool straight out to the garden to enjoy. 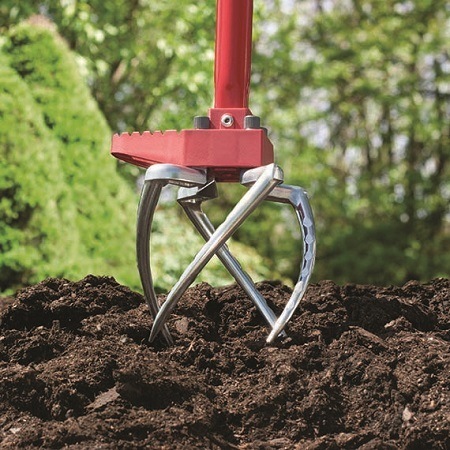 Although there’s plenty to celebrate with the Garden Weasel Claw Pro, many of the online reviews seem to indicate that it’s best used for soil and land that isn’t too dry or in need of lots of attention. This should be thought of as a maintenance tool for gardens that need work but not too much, otherwise, you might need to consider something more powerful. Whether you want one for yourself or a loved one, you’ll be happy to know that you can get the Garden Weasel Claw Pro for a discounted price when you shop on Amazon. This tool costs under $40 and comes with free shipping when you check out with Amazon, and if you’re a Prime member you’ll have it send with the free express option and receive it in just two days. By far one of the best things about the Garden Weasel Claw Pro, and all of the products that this innovative brand designs, is that it comes with a lifetime guarantee. 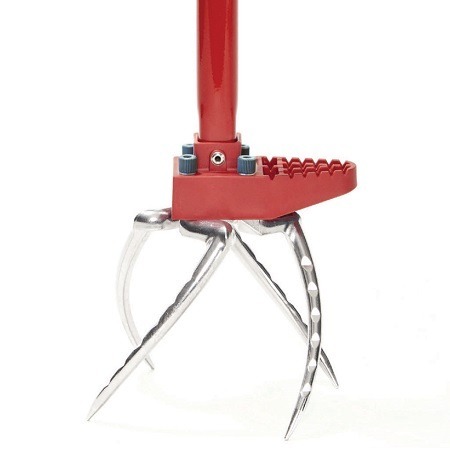 The Claw has been made from heavy duty carbon steel which means it’s reliable and tough, but if anything were to happen to it then Garden Weasel will gladly send you a replacement. For the regular gardener who wants a tool that can tick all of the boxes, it makes sense to put your trust into the Garden Weasel Claw Pro. 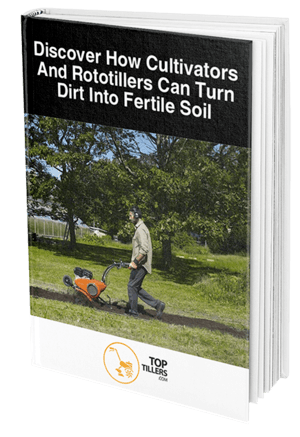 This simple accessory can aerate, weed, turn compost, loosen, and cultivate, without you ever needing to get down onto the ground and strain your neck and back. It’s hard these days to find such well-made gardening tools with lifetime guarantees on their quality, but the Garden Weasel Claw Pro is one of them. 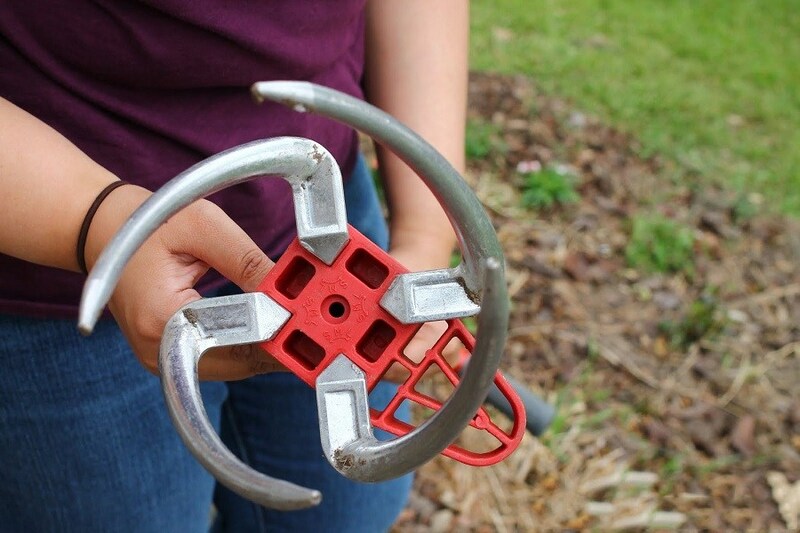 If you’re looking to add a versatile accessory to your gardening kit for an affordable price, click here to purchase the Garden Weasel Claw Pro today.